Cover Reads: Yo, Dude! I'll Be Your Uber Pilot! Inside Reads: It's Your Birthday ... Enjoy The Ride! 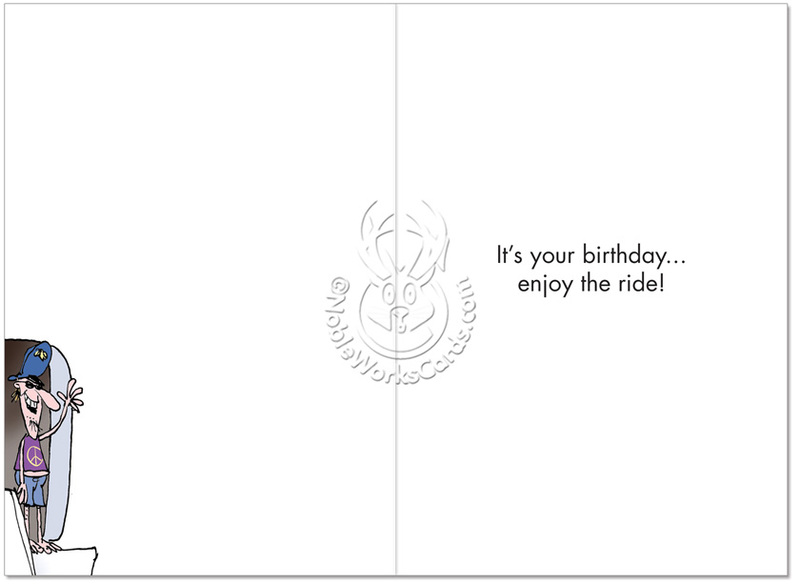 The quest for cheap and accessible transportation has reached ludicrous levels, according to the hilarious Uber Pilot Birthday Humor Paper Card available at NobleWorks Cards. 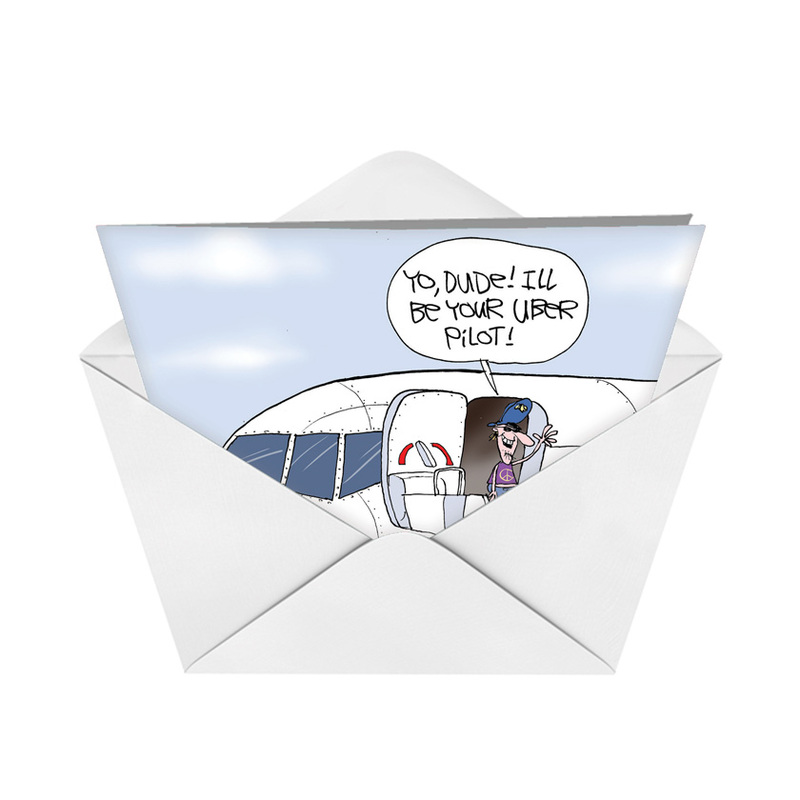 Illustrated by Gary McCoy and printed in the U.S. on paper recycled from mixed sources, this environmentally friendly card take a humorous look at the lengths some will go to pick up extra income, even if it means unsuspecting passengers might risk their lives the next time they board an airplane. 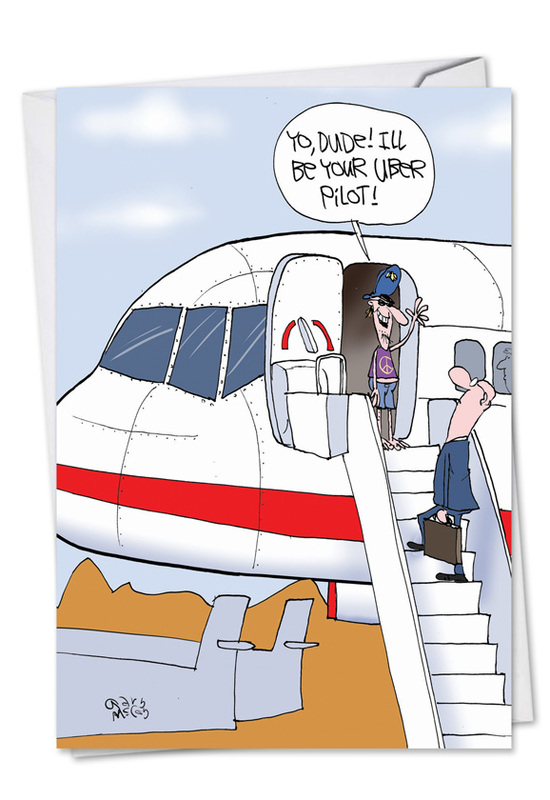 This Uber pilot cartoon card soars to great heights in its quest for lofty laughs. 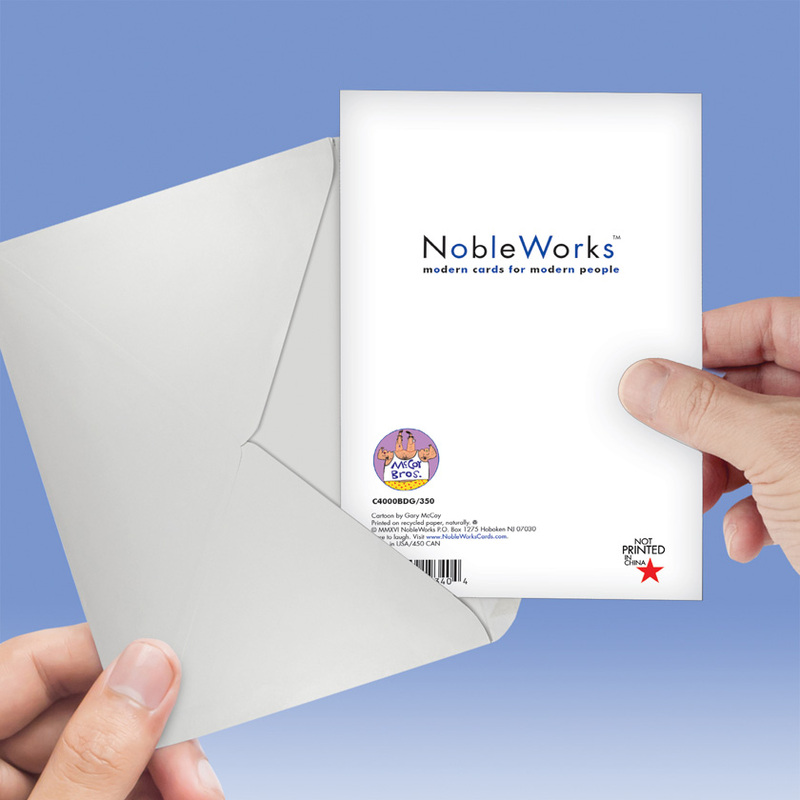 It is available with free shipping from NobleWorks Cards, which provides special pricing on bulk orders. 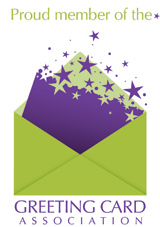 This means the more of these cards you order, the greater your savings will be.